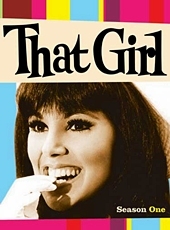 That Girl was a comedy series featuring an aspiring actress Ann Marie (Marlo Thomas) who moves to New York to further her acting career. 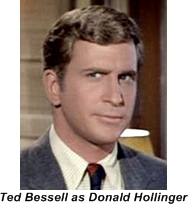 She has a boyfriend Don Hollinger (Ted Bessell) who is in most of the episodes and provides emotional support and the perfect straight man for many of the hilarious situations that Ann finds herself in. Ann parents Lew and Helen Marie (Lew Parker and Rosemary DeCamp) visit occasionally but it generally leads to Ann and Don trying to hide some zany thing that Ann has done from them. Ann does sometimes get an acting job usually for a commercial but in between she takes on temp jobs which lend themselves to more comedic situations. In the final season Ann and Don do get engaged but as the show ends at the end of that season Marlo makes a decision to not have them get married. She was afraid that this would defeat the single girl feminist message that the show gave to young female viewers. The sitcom was ground breaking in that Ann was a single girl living alone without a husband, parents or even a room mate. 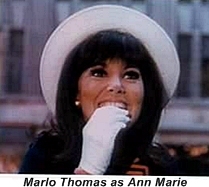 Marlo Thomas was instrumental in the creating of the show and insuring that Ann was in fact the first independent woman on television. 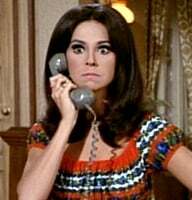 Marlo Thomas wanted to do a show about an independent woman who was centered on her own career, after several failed attempts at scripts ABC finally sent her one that she could work with. She originally wanted to name the show “Miss Independence” but was out voted by ABC execs who exasperated with her exclaimed “oh that girl!” and hence the name of the series was born. 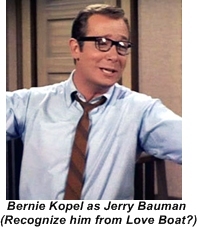 George Carlin’s first tv appearance was on the show helping to launch his comedy career.